Main Road is going to dictate a large portion of your life, but it takes a while to figure out exactly what’s going on with it. I'm gonna explain it all using pizza. Because, well, we all understand pizza. Okeydokes folks, brace yourselves, we’re going to do some mapwork. Before you quickly close this tab and move on to something else, just bear with me for a sec. 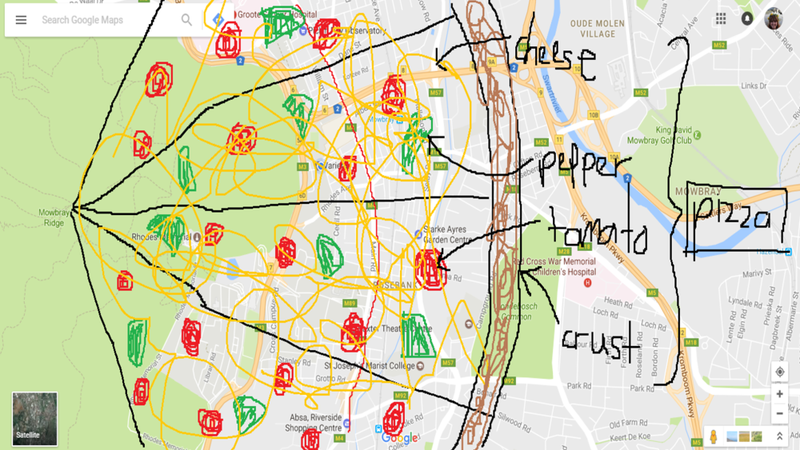 The main problem with the Google Maps image, bless its soul, is that it doesn’t convey the pizza-slice problem of main road. 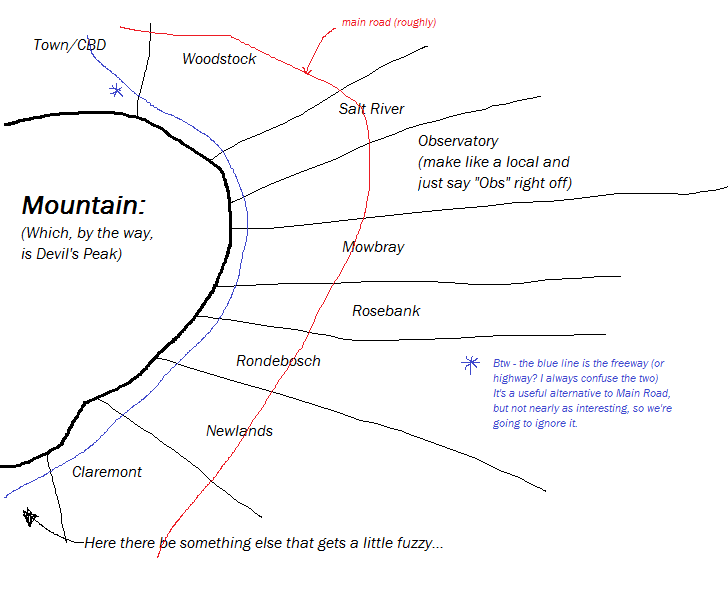 Allow me to illustrate. I almost did Fine Art guys, I’m a wasted talent. Anyhoo, is the pizza image clearer to you now? Having sorted that out *dusts off hands* we can move on to phase two.